Update: I have been told by multiple sources that Jack’s candidacy was reinstated. 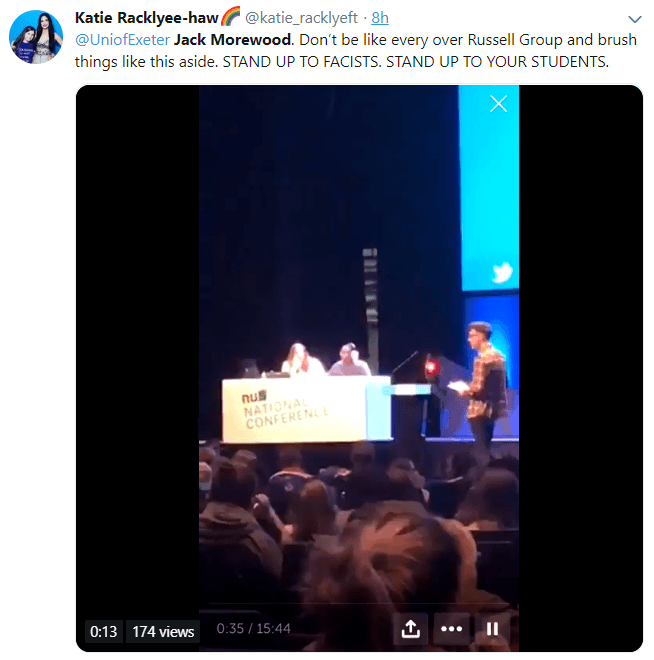 He was suspended because a complaint was put in, as standard procedure, but after the complaint was looked into, he was was cleared of any wrongdoing. 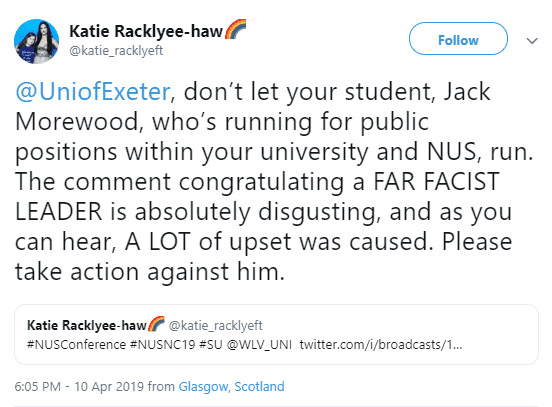 Calling the democratically elected leader of Israel a fascist while trying to get a candidate suspended merely for congratulating that leader – I am sure she is low on self-awareness. 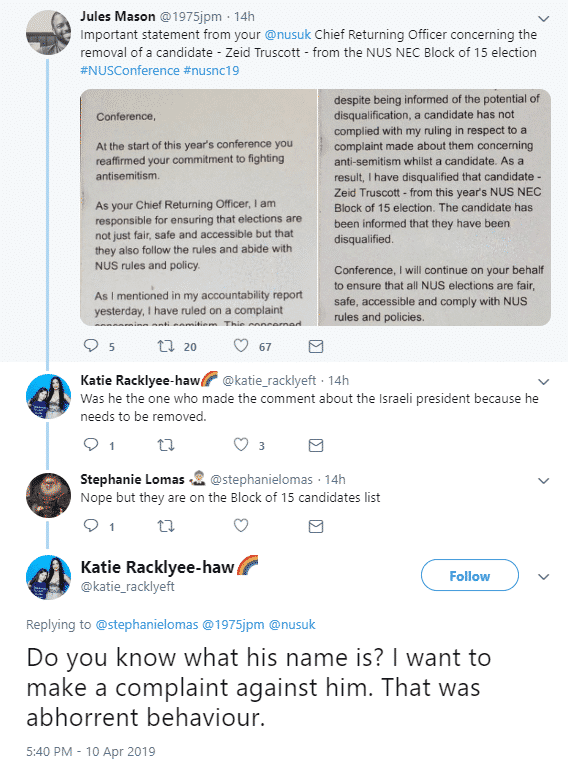 Believe it or not, this student complained after learning another candidate was suspended for antisemitic comments. Note how she refers to a comment “about the Israeli President.” Bibi is the Prime Minister. These haters are as ignorant as they are consumed by hatred. 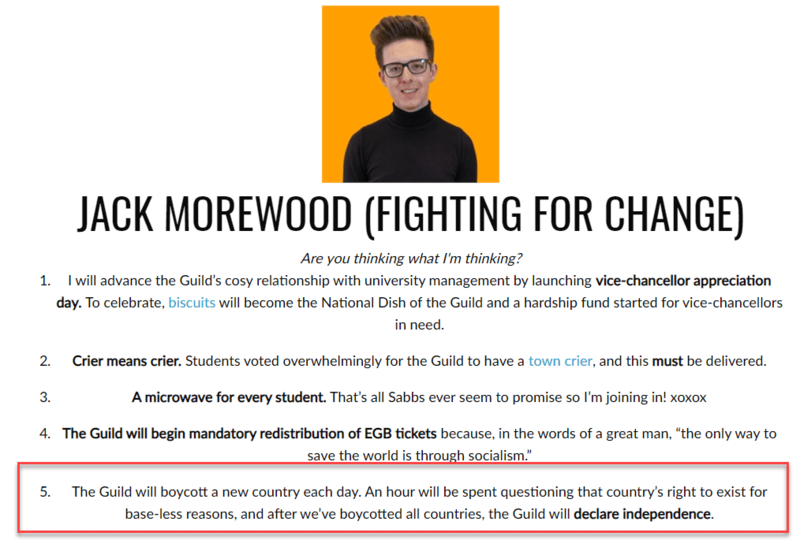 Let’s get behind Jack Morewood by contacting NUS and University of Exeter to complain about how he has been treated. 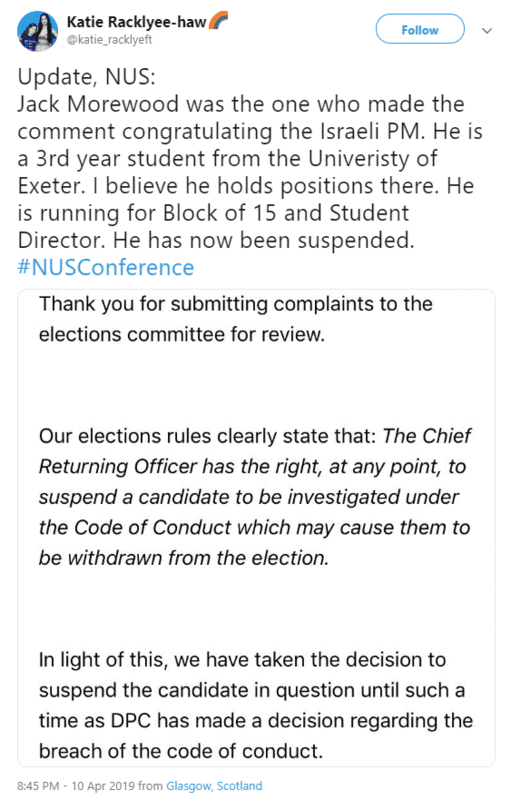 University of Exeter email: [email protected].